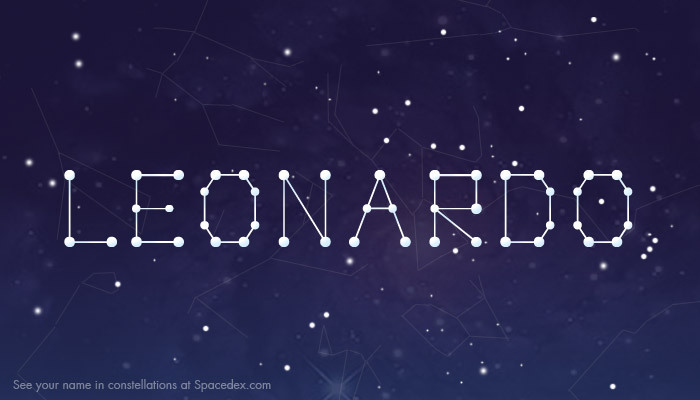 Get your free name constellation in 3 easy steps: 1 - Press 'Like' 2 - Post request here 3 -Get your graphic! As Spacedex expands we plan on offering much more to our users. Share this image with your friends or send as a message to specific ones. Find out more about getting your name on Spacedex.